1. Now is the time I determine the ending for each person, not the stage at which I began to work man. I write down in My record book, one by one, the words and actions of each person, as well as their path in following Me, their inherent characteristics, and their final performance. In this way, no manner of man shall escape My hand and all shall be with their own kind as I assign. I decide the destination of each person not on the basis of age, seniority, amount of suffering, and least of all, the degree to which they invite pity, but according to whether they possess the truth. There is no other choice but this. You must realize that all those who do not follow the will of God will be punished. This is an immutable fact. Therefore, all those who are punished are so punished for the righteousness of God and as retribution for their numerous evil acts. 2. I call to My house all those I have predestined in order to make them into an audience for My word, and then place all who obey and long for My word before My throne. Those who turn their backs upon My word, those who fail to obey and submit to Me, and those who openly defy Me, shall all be cast to one side to await their final punishment. 3. From the time of creation until today, many people have disobeyed My words and thus been cast out and eliminated from My stream of recovery; ultimately, their bodies perish and their spirits are cast into Hades, and even today they are still subjected to grievous punishment. Many people have followed My words, but they have gone against My enlightenment and illumination, and have thus been kicked aside by Me, falling under the domain of Satan and becoming those who oppose Me. (Today all those who directly oppose Me obey only the superficialities of My words, and disobey the substance of My words.) There have been many, too, who have merely listened to the words I spoke yesterday, who have held on to the “junk” of the past and not treasured the “produce” of the present day. These people have not only been taken captive by Satan, but have become eternal sinners and become My enemies, and they directly oppose Me. Such people are the objects of My judgment at the height of My wrath, and today they are still blind, still within the dark dungeons (which is to say, such people are rotten, benumbed corpses that are controlled by Satan; because their eyes have been veiled by Me, I say that they are blind). 4. Before humanity enters into rest, whether each kind of person is punished or rewarded will be determined according to whether they seek the truth, whether they know God, whether they can obey the visible God. Those who have rendered service to the visible God yet do not know or obey Him lack truth. These people are evildoers, and evildoers will undoubtedly be punished; furthermore, they shall be punished according to their wicked conduct. God is believed in by man, and He is also worthy of man’s obedience. Those who only believe in the vague and invisible God are those who do not believe in God; furthermore, they are unable to obey God. If these people still cannot believe in the visible God by the time His work of conquering is finished, and also persist in being disobedient to and resisting the God who is visible in the flesh, these vagueists will, without a doubt, be destroyed. 5. The standard by which man judges man is based on his behavior; one whose conduct is good is a righteous person, and one whose conduct is abominable is wicked. The standard by which God judges man is based on whether one’s essence obeys Him; one who obeys God is a righteous person, and one who does not obey God is an enemy and a wicked person, regardless of whether this person’s behavior is good or bad, and regardless of whether this person’s speech is correct or incorrect. 6. I have sought many on earth to be My followers. Among all these followers, there are those who serve as priests, those who lead, those who form the sons, those who constitute the people, and those who do service. I divide them into these different categories based on the loyalty they show to Me. When all men have been classified according to their kind, that is, when the nature of each kind of man has been revealed, then I shall number each man among their rightful kind and put each kind into their fitting place so that I may realize My aim of salvation for mankind. In turn, I call groups of those I wish to save to return to My house, then I allow all of these people to accept My work in the last days. At the same time, I classify man according to kind, then reward or punish each one on the basis of his deeds. Such are the steps that comprise My work. 7. Every person’s essence decides whether they will be destroyed; this is determined according to the essence revealed by their conduct and their pursuit of the truth. Among people who similarly do work and also do similar amounts of work, those whose human essences are good and who possess truth are the people who can remain, but those whose human essences are evil and who disobey the visible God are those who shall be destroyed. Any of God’s work or words directed at humanity’s destination deals with humanity appropriately according to each person’s essence; there will be no accidents, and there will certainly not be the slightest error. Only when a person carries out work will human emotion or meaning be mixed in. The work God does is the most suitable; He absolutely will not bring false claims against any creature. 10. God always observes people from their side, watching their every word and deed, their every act and movement, even their every thought and idea. Everything that happens to people: their good deeds, their faults, their transgressions, and even their rebellions and betrayals, God will record it all as evidence in establishing their outcome. 11. Whether one seeks sincerely is not determined by how others judge them or how the people around view them, but by whether the Holy Spirit works upon them and whether they have the presence of the Holy Spirit, and it is all the more determined by whether their disposition changes and whether they have knowledge of God after undergoing the Holy Spirit’s work over a certain period; if the Holy Spirit works upon a person, this person’s disposition will gradually change, and their view on believing in God will gradually grow purer. Regardless of how long one follows God, as long as they have changed, this means that the Holy Spirit works upon them. If they have not changed, this means that the Holy Spirit does not work upon them. Even if these people render some service, they are instigated by their intentions to obtain good fortune. Occasional service cannot replace a change in their disposition. Ultimately they will still be destroyed, for there is no need for those who render service within the kingdom, nor is there need for anyone whose disposition has not changed to be of service to those people who have been perfected and who are faithful to God. 12. Whether you can be saved doesn’t depend on how well-qualified you are, or how many years you’ve been working, much less on how many credentials you have. It depends on if there has been any effect in your pursuit. You ought to know that those who are saved are the trees that bear fruit, not the trees that have lush foliage and abundant flowers but do not bear fruit. Even if you’ve spent many years wandering the streets, so what? Where is your testimony? Your reverence for God is far lower than your love of yourself and your lustful desires—isn’t someone like this a degenerate? How could you be a specimen and model of salvation? Your nature is unchangeable, you are too rebellious, you cannot be saved! Will such people not be eliminated? Is the time when My work finishes not the time when your last day shall arrive? 13. So I am telling you now in all seriousness: I do not care how meritorious your hard work is, how impressive your qualifications, how closely you follow Me, how renowned you are, or how improved your attitude; so long as you have not done what I have demanded, you will never be able to win My praise. Write off all those ideas and calculations of yours as early as possible, and start treating My demands seriously. Otherwise, I will turn all people into ashes in order to bring an end to My work, and at best turn My years of work and suffering into nothing, for I cannot bring My enemies and people reeking of evil on the model of Satan into My kingdom, into the next age. 14. Those who only think of their flesh and like comfort, those whose faith is ambiguous, those who engage in witchcraft medicine and sorcery, those who are promiscuous, and tattered and ragged, those who steal sacrifices to Jehovah and the possessions of Him, those who love bribes, those who idly dream of going to heaven, those who are arrogant and conceited, and only strive for personal fame and fortune, those who spread impertinent words, those who blaspheme against God Himself, those who do nothing but make judgments against and vilify God Himself, those who gang up with others and try to become independent, those who exalt themselves higher than God, those frivolous young men and women, and middle- and old-aged men and women who are ensnared in vice, those men and women who enjoy personal fame and fortune and pursue personal status among others, those unrepentant people who are trapped in sin—are they not all beyond salvation? 15. Those in the church who engage in disputes are Satan’s lackeys, and are the embodiment of Satan. This kind of person is too malicious. Those who have no discernment and are incapable of standing on the side of the truth all harbor evil intentions and tarnish the truth. These people are even more so typical representatives of Satan; they are beyond redemption and it goes without saying that they are all objects to be eliminated. 16. Many people will kneel down for mercy and forgiveness because the seven thunders peal. But this will no longer be the Age of Grace: It will be the time for wrath. As for all people who do evil (those who fornicate, or deal in dirty money, or have unclear boundaries between men and women, or who interrupt or damage My management, or whose spirits are blocked, or who are possessed by the evil spirits, and so on—all except My elect), none of them will be let off, nor any pardoned, but all will be cast down to Hades and perish forever! 17. You fool and deceive Me, you play with the truth, and conceal the existence of the truth, and betray the substance of the truth. You place yourselves in such enmity to Me, so what awaits you in the future? You merely seek compatibility with a vague God, and merely seek a vague belief, yet you are not compatible with Christ. Will not your maleficence receive the same retribution as that deserved by the wicked? At that time, you will realize that no one who is incompatible with Christ can escape the day of wrath, and you will discover what kind of retribution shall be wrought upon those who are in enmity with Christ. When that day arrives, your dreams of being blessed for your belief in God, and of gaining entry to heaven, shall all be shattered. It is, however, not so for those who are compatible with Christ. Though they have lost so much, though they have suffered a lot of hardship, they shall receive all of the inheritance that I shall bequeath to mankind. Ultimately, you will understand that only I am the righteous God, and that only I am capable of taking mankind into his beautiful destination. 18. A person who does not love God does not love the truth and thus cannot gain God, much less receive God’s approval. Such people, regardless of how they experience the work of the Holy Spirit, and regardless of how they experience judgment, are still unable to revere God. These are people whose nature is unchangeable, who have extremely wicked disposition. All those who do not revere God are to be eliminated, to be the object of punishment, and to be punished just like those who do evil, suffering even more than those who have done unrighteous things. 19. Those who do their duty and those who do not are enemies; those who love God and those who hate God are opposed to one another. Those who enter into rest and those who have been destroyed are two incompatible types of creatures. Creatures that fulfill their duty will be able to survive, and creatures that do not fulfill their duty will be destroyed; what is more, this shall last through eternity. Do you love your husband in order to fulfill your duty as a creature? Do you love your wife in order to fulfill your duty as a creature? Are you dutiful to your unbelieving parents in order to fulfill your duty as a creature? Is man’s view on believing in God right or not? Why do you believe in God? What do you want to gain? How do you love God? Those that cannot fulfill their duty as creatures and cannot make a full effort will be destroyed. 20. Those who seek and those who do not seek are now two different types of people, and they are two types of people with two different destinations. Those who pursue knowledge of the truth and practice the truth are the people whom God will save. Those who do not know the true way are demons and enemies; they are the descendants of the archangel and will be destroyed. 21. Today, many believe that following God is easy, but when God’s work is about to end, you will know the true meaning of “follow.” Just because you are still able to follow God today after being conquered, this does not prove that you are one of those who will be made perfect. Those who are unable to endure the trials, who are incapable of being victorious amid tribulation will, ultimately, be incapable of standing fast, and so will be unable to follow God to the very end. Those who truly follow God are able to withstand the test of their work, whereas those who do not truly follow God are incapable of withstanding any of God’s trials. Sooner or later they will be expelled, while the overcomers will remain in the kingdom. 22. God uses trials to establish the outcome of man. There are two standards for using trials to establish man’s outcome: The first is the number of trials that people undergo, and the second is the people’s result in these trials. It is these two indicators that establish man’s outcome. 23. When God wants to obtain someone’s heart, He will give them numerous trials. During these trials, if God does not obtain this person’s heart, nor does He see that this person has any attitude—that is to say He doesn’t see that this person goes about things or behaves in a way that fears God, and He doesn’t see an attitude and resolution that shuns evil from this person. If this is how it is, then after numerous trials, God’s patience toward this individual will be withdrawn, and He will not tolerate this person anymore. He will no longer give trials to them, and He will no longer work on them. Then what does that mean this person’s outcome is? It means that they will have no outcome. 24. No matter how they are tried, the allegiance of those who have God in their heart remains unchanged; but for those who do not have God in their heart, once the work of God is not advantageous to their flesh, they change their view of God, and even depart from God. Such are those who will not stand fast in the end, who only seek God’s blessings and have no desire to expend themselves for God and dedicate themselves to Him. Such base people will all be expelled when God’s work comes to an end, and are unworthy of any sympathy. 25. My concern continues to be the way in which each of you acts and expresses himself, on the basis of which I shall determine your end. However, I must make this clear: I will give no more mercy to those who gave Me no jot of loyalty in times of tribulation, for My mercy only extends so far. Furthermore, I have no liking for anyone who has once betrayed Me, much less do I like to associate with those who sell out the interests of their friends. This is My disposition, regardless of who the person may be. I must tell you this: Anyone who breaks My heart shall not receive clemency from Me a second time, and anyone who has been faithful to Me shall forever remain in My heart. 26. The people who will later survive through rest will all have endured the day of tribulation and also borne witness for God; they will all be people who have done their duty and intend to obey God. Those who merely wish to use the opportunity to do service to avoid practicing truth will not be able to remain. 27. God has appropriate standards for the arrangement of the outcomes of all people; He does not merely make these decisions according to one’s words and conduct, nor does He make them according to their behavior during a single period of time. He will absolutely not be lenient toward all of one’s wicked conduct because of one’s past service for God, nor will He spare one from death because of a one-time expense for God. No one can evade retribution for their wickedness, and no one can cover up their wicked conduct and thereby evade the torment of destruction. If one can truly do one’s own duty, then this means that they are eternally faithful to God and do not seek rewards, regardless of whether they receive blessings or suffer misfortune. If people are faithful to God when they see blessings but lose their faithfulness when they cannot see blessings and in the end are still unable to bear witness for God and still unable to do their duty as they should, these people who once rendered service to God faithfully will still be destroyed. In short, wicked people cannot survive through eternity, nor can they enter into rest; only the righteous are the masters of rest. 28. If you merely believe in Me, yet neither My glory nor My testimony can be seen in you, then I have long ago cast you away. As for those who know it all, they are even more thorns in My eye, and in My house, they are merely stumbling blocks. They are tares to be completely winnowed out in My work, without the slightest function and without any weight; I have long abhorred them. As for those without testimony, My anger is perpetually upon them, and My rod never strays from them. I have long ago turned them over to the hands of the evil one, and they have not any of My blessings. Upon that day, their punishment will be far sorer than that of foolish women. 29. Those who are unwilling to abandon the world, who cannot bear to part with their parents, who cannot bear to rid themselves of their own enjoyments of the flesh are all disobedient to God and will all be destroyed. Anyone who does not believe in God incarnate is demonic; more so, they will be destroyed. 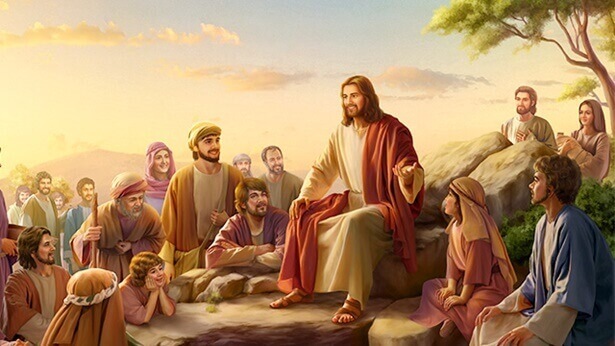 Those who believe but do not practice the truth, those who do not believe in God incarnate, and those who do not at all believe in God’s existence will be destroyed. Anyone who is able to remain is a person who has undergone the bitterness of refinement and stood firm; this is a person who has truly undergone trials. Anyone who does not recognize God is an enemy; that is, anyone within or without this stream who does not recognize God incarnate is an antichrist! Who is Satan, who are demons, and who are God’s enemies if not resisters who do not believe in God? Are they not those people who are disobedient to God? Are they not those people who verbally claim to believe yet lack truth? Are they not those people who only pursue the obtaining of blessings yet cannot bear witness for God? You can still hobnob with those demons today and stress conscience and love with these demons; is this not considered extending good intentions to Satan? Is it not considered associating with demons? If people are still unable to distinguish between good and evil today, and still blindly stress love and pity without in any way hoping to seek God’s will, and cannot in any way have God’s heart as their own, their endings will be all the more wretched. 30. Whether one receives blessings or suffers misfortune is determined according to one’s essence, and is not determined according to the common essence one shares with others. The kingdom simply does not have this kind of saying or this kind of rule. If one is ultimately able to survive, it is because one has achieved God’s requirements, and if one is ultimately unable to remain at the time of rest, it is because this person is disobedient to God and has not satisfied God’s requirements. Everyone has a suitable destination. These destinations are determined according to each person’s essence and are completely unrelated to others. A child’s wicked conduct cannot be transferred to his or her parents, and a child’s righteousness cannot be shared with his or her parents. A parent’s wicked conduct cannot be transferred to his or her children, and a parent’s righteousness cannot be shared with his or her children. Everyone bears his or her respective sins, and everyone enjoys his or her respective fortune. No one can substitute for another. This is righteousness. 31. Those who are against Me are those who are not compatible with Me. So too are those who do not love the truth, and those who rebel against Me are even more against Me and incompatible with Me. All those who are not compatible with Me I deliver into the hands of the evil one. I relinquish them to the corruption of the evil one, give them free rein to reveal their maleficence, and ultimately hand them over to the evil one to be devoured. I care not how many people worship Me, which is to say, I care not how many people believe in Me. All that concerns Me is how many people are compatible with Me. That is because all those who are not compatible with Me are evil ones who betray Me; they are My enemies, and I shall not “enshrine” My enemies in My home. Those who are compatible with Me shall forever serve Me in My home, and those who place themselves in enmity of Me shall forever suffer My punishment. 32. With regard to those people who have renounced and left God, their contemptible attitude toward God and their hearts that despise the truth have aggravated God’s disposition, thus so far as God is concerned they will never be forgiven. They have known about God’s existence, they have had the information that God has already arrived, they have even experienced God’s new work. Their departure isn’t a case of being deluded, nor is it that they’re hazy about it. It’s even less a case of them being forced into it. Rather they have consciously, and with a clear mind, chosen to leave God. Their departure isn’t losing their way; it’s not their being cast off. Therefore, in God’s eyes, they are not a lamb who has strayed from the flock, let alone a prodigal son who lost his way. They departed with impunity, and such a condition, such a situation, aggravates God’s disposition, and it is out of this aggravation that He gives them a hopeless outcome. Is this kind of outcome not frightful? So if people don’t know God, they can offend God. This is no small matter! If someone doesn’t take God’s attitude seriously, and still believes that God is looking forward to their return—because they are one of God’s lost lambs and God is still waiting for them to have a change of heart—then this person is not that far removed from their day of punishment. 33. If a person angers God to the point that God doesn’t even want to see them again, that He will completely give up on them, to the point that God doesn’t even want to deal with them Himself—if it gets to the point that He will hand them over to Satan for it to do as it will, to allow Satan to control, consume, and treat them in any way—this person is thoroughly finished. Their right to be a human has been permanently revoked, and their right as a creature has come to an end. Isn’t this the most serious punishment? 34. God’s treatment of people who blaspheme or resist Him, or even those who malign Him—people who intentionally attack, malign, and curse Him—He does not turn a blind eye or a deaf ear. He has a clear attitude toward them. He despises these people, and in His heart He condemns them. He even openly declares the outcome for them, so that people know that He has a clear attitude toward those who blaspheme Him, and so that they know how He will determine their outcome. 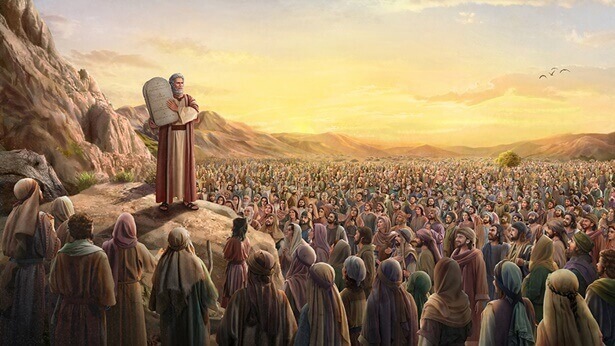 However, after God said these things, people still could rarely see the truth of how God would handle those people, and they could not understand the principles behind God’s outcome, His verdict for them. That is to say, mankind cannot see the particular attitude and methods God has for handling them. This has to do with God’s principles for doing things. God uses the advent of facts to deal with the evil behavior of some people. That is, He does not announce their sin and does not determine their outcome, but He directly uses the advent of facts to allow them to be punished, to get their due retribution. When these facts happen, it is people’s flesh that suffers punishment; it is all something that can be seen with human eyes. When dealing with some people’s evil behavior, God just curses them with words, but at the same time, God’s anger comes upon them, and the punishment they receive may be something people cannot see, but this type of outcome may be even more serious than the outcomes that people can see of being punished or being killed. This is because under the circumstances that God has determined not to save this type of person, to no longer show mercy or have tolerance for them, to provide them with no more opportunities, the attitude that He takes toward them is to put them aside. What is the meaning of “put aside”? The meaning of this term on its own is to put something to one side, to no longer pay attention to it. Here, when God “puts aside,” there are two different explanations of its meaning: The first explanation is that He has given that person’s life, that person’s everything over to Satan to deal with. God would no longer be responsible and He would no longer manage it. Whether that person were mad, or stupid, and whether in life or in death, or if they descended into hell for their punishment, it would have nothing to do with God. That would mean that that creature would have no relation to the Creator. The second explanation is that God has determined that He Himself wants to do something with this person, with His own hands. It is possible that He will utilize this kind of person’s service, or that He will utilize this kind of person as a foil. It’s possible that He will have a special way of dealing with this type of person, a special way of treating them—just like Paul. This is the principle and attitude in God’s heart of how He has determined to deal with this kind of person. So when people resist God, and malign and blaspheme Him, if they aggravate His disposition, or if they reach God’s bottom line, the consequences are unthinkable. The most severe consequence is that God hands their lives and their everything over to Satan, once and for all. They will not be forgiven for all of eternity. This means that this person has become food in Satan’s mouth, a toy in its hand, and from then on God has nothing to do with them. 35. Doers of righteousness are doers of righteousness, and evildoers are evildoers. Doers of righteousness will be able to survive, and evildoers will be destroyed. The holy are holy; they are not filthy. The filthy are filthy, and they do not contain a single holy part. All wicked people shall be destroyed, and all righteous people shall survive, even if the children of an evildoer perform righteous deeds, and even if the parents of a righteous person commit wicked deeds. 36. After God’s work ends, among all His creatures, there will be those who will be destroyed and those who will survive. This is an inevitable trend of His management work. No one can deny this. Evildoers cannot survive; those who obey and follow Him to the end are certainly to survive. As this work is that of humanity’s management, there will be those who remain and those who are eliminated. These are different outcomes of different types of people, and these are the most suitable arrangements for His creatures. 37. Any and all evildoers and any and all who have not been saved will be destroyed when the holy among humanity enter into rest, regardless of whether they are the spirits of the dead or those who still live in the flesh. Regardless of what era to which these evildoing spirits and evildoing people, or the spirits of righteous people and those people who do righteousness belong, any evildoers will be destroyed, and any righteous people will survive. Whether a person or spirit receives salvation is not entirely decided based upon the work of the final age, but is rather determined based upon whether they have resisted or been disobedient to God. If people in the previous era did evil and could not be saved, they would undoubtedly be targets for punishment. If people in this era do evil and cannot be saved, they are also surely targets for punishment. People are separated on the basis of good and evil, not on the basis of the era. Once separated on the basis of good and evil, people are not immediately punished or rewarded; rather, God will only carry out His work of punishing evil and rewarding good after carrying out His work of conquering in the last days. Actually, He has been using good and evil to separate humanity ever since He carried out His work among humanity. He will merely reward the righteous and punish the wicked upon completion of His work, rather than separating the wicked and the righteous upon completing His work in the end and then immediately setting about His work of punishing evil and rewarding good. 38. Those who only accept judgment but can never be purified, that is, those who flee in the midst of the work of judgment, shall forever be detested and rejected by God. Their sins are more numerous, and more grievous, than those of the Pharisees, for they have betrayed God and are rebels against God. Such men who are not worthy even to do service shall receive more severe punishment, a punishment that is moreover everlasting. God shall not spare any traitor who once evinced loyalty with words but then betrayed Him. Men like these shall receive retribution through punishment of the spirit, soul, and body. Is this not precisely a revelation of the righteous disposition of God? Is this not God’s purpose in judging man, and revealing him? God consigns all those who perform all kinds of wicked deeds during the time of judgment to a place infested with evil spirits, letting these evil spirits destroy their fleshly bodies at will. Their bodies give off the stench of corpses, and such is their fitting retribution. God writes down in their record books each and every one of the sins of those disloyal false believers, false apostles, and false workers; then, when the time is right, He casts them amidst the unclean spirits, letting these unclean spirits defile their entire bodies at will, so that they may never be reincarnated and never again see the light. Those hypocrites who did service at one time but are unable to remain loyal to the end are numbered by God among the wicked, so that they walk in the counsel of the wicked and become part of their disorderly rabble; in the end, God shall annihilate them. God casts aside and takes no notice of those who have never been loyal to Christ or dedicated any effort, and shall annihilate them all in the change of ages. They shall no longer exist on earth, much less gain passage into the kingdom of God. Those who have never been sincere to God but are forced by circumstance into dealing with Him perfunctorily are numbered among those who do service for His people. Only a small number of such men can survive, while the majority shall perish along with those who are not qualified even to do service. Finally, God shall bring into His kingdom all those who are of the same mind as God, the people and the sons of God as well as those predestined by God to be priests. Such is the distillate obtained by God through His work. As for those who are unable to fall into any of the categories set by God, they shall be numbered among the unbelievers. And you can surely imagine what their outcome shall be. 39. The many nations within the universe will be partitioned afresh and replaced by My nation, so that the nations upon the earth will disappear forever and become a nation that worships Me; all the nations of the earth will be destroyed, and will cease to exist. Of the human beings within the universe, all those belonging to the devil will be exterminated; all who worship Satan will be laid low by My burning fire—that is, except for those now within the stream, the rest will be turned to ashes. When I chastise the many peoples, those in the religious world will, in differing degrees, return to My kingdom, conquered by My works, because they will have seen the advent of the Holy One riding on a white cloud. All of humanity will follow their own kind, and will receive chastisements varying with what they have done. Those who have stood against Me will all perish; as for those whose deeds on the earth have not involved Me, they will, because of how they have acquitted themselves, continue to exist on the earth under the governance of My sons and My people. I will reveal Myself to the myriad peoples and the myriad nations, sounding forth with My own voice upon the earth to proclaim the completion of My great work for all mankind to see with their own eyes.